The New Year approaches inexorably. 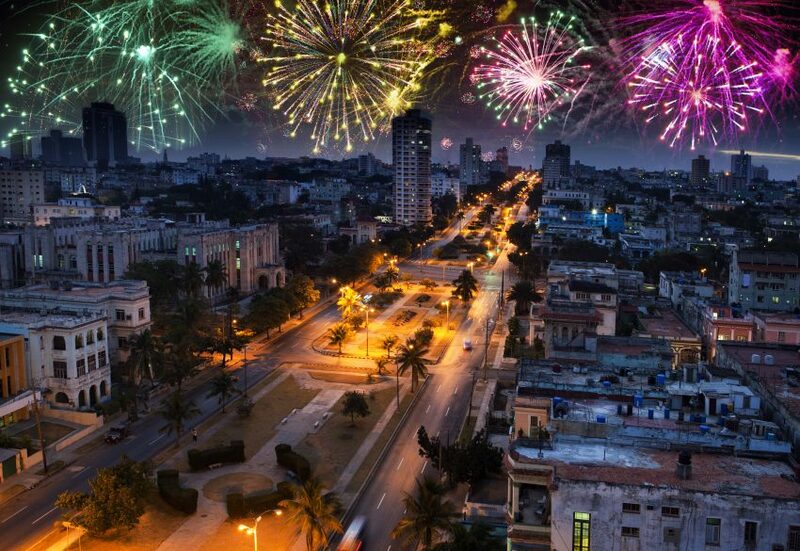 If you still don’t know where best to celebrate the holiday, think about celebrating New Years in Cuba. Crystal white beaches are undoubtedly pleasant, and blue waters seem more inspiring than snowdrifts outside the window. Just imagine warm waves of the Caribbean gently caressing your body, and bright sunlight warming you on a beautiful beach. You will feel nothing but relaxation and joy when celebrating your New Year holidays like that. Add grandiose festivals, lively parties, and friendly locals – and you get a dream New Year Holiday! 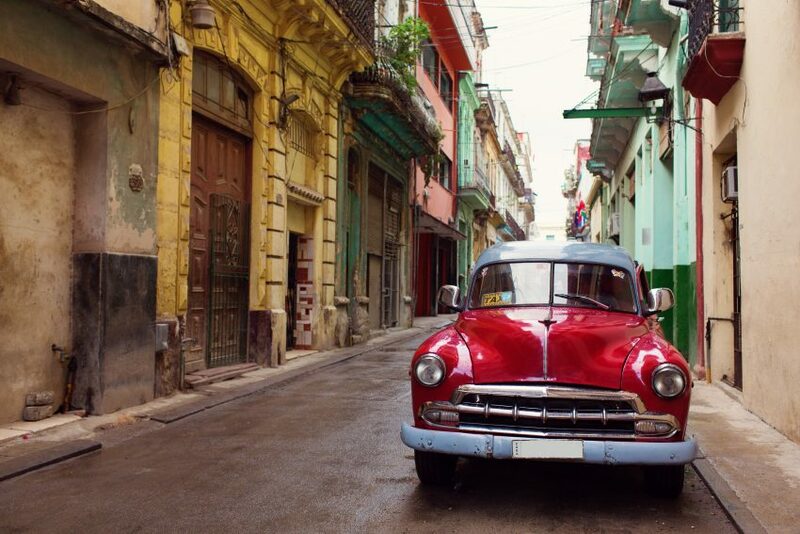 If you have decided to celebrate New Year’s in Cuba, you should visit the most beautiful city of the New World – Havana. Here you can visit old monuments of architecture of the colonial period. Enjoy a colorful show made on New Year’s Eve in Havana at the main city Square – which will definitely not leave you uninspired. During the New Year celebration, huge tables with improbable amounts of food and drink are laid on the square. January 1 is not only New Year’s holiday but also commemorates a very important event for all Cubans – Day of Liberation. The warm Caribbean Sea, a general atmosphere of fun, Cuban rum, and Havana cigars are a great combination for festive mood and a magical night! New Year in Cuba will surely be remembered for its beauty, and unforgettable impressions will remain in memory for the rest of your life. How to celebrate New Year in Cuba? According to tradition, New Year in Cuba is not celebrated with a Christmas tree, but with a coniferous tree called an araucaria, or a room fir-tree. This low tree reminds one of a fir-tree with very rigid branches and prickly needles. Before the day New Years is celebrated – Cubans fill jugs, buckets, and bowls with water. When midnight comes, all the water is poured out of windows. So they see off the old year, wishing to start the next one being clear like water. While celebrating the Cuban New Year, it is necessary to remember as the clock clicks down to eat 12 grapes, making a wish on each one. Only in that case will you be accompanied by joy, success, and prosperity in the New Year. By the way, on New Year’s Eve clocks in Cuba strike not 12 blows as in other countries, but only 11. Cubans consider that the twelfth blow already falls on the New Year, and this holiday should be a rest for everyone, including the clocks. Here they are, careful and kind Cubans. Before the holiday, Cuban children write letters, but not to Santa or Father Frost. They compose wishes for kind wizards – Baltasar, Melchor and Gaspar. In their letters Cuban children describe their most desired wishes. 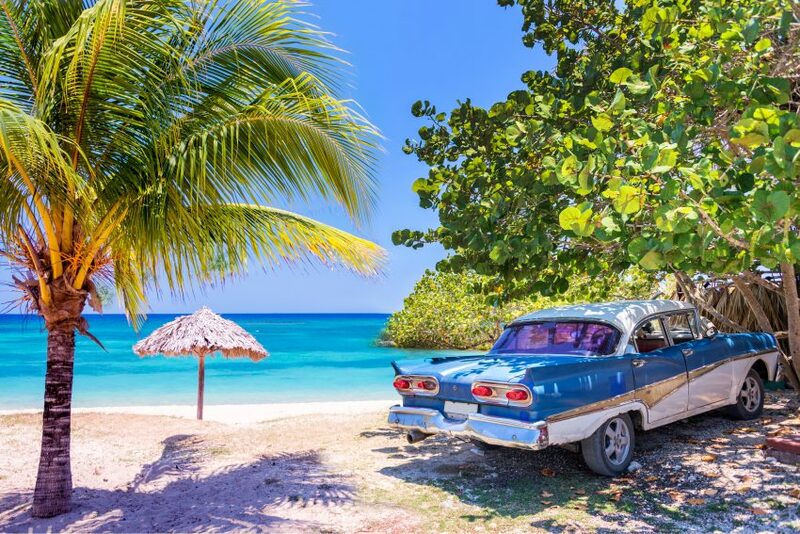 If you are interested in Cuban tours for New Year’s, you are advised to go to well-known Havana – the capital of the country, or to a popular resort with snow-white beaches and azure coast like Varadero, Cayo Coco, Cayo Guillermo, and Cayo Largo’s exotic islands.